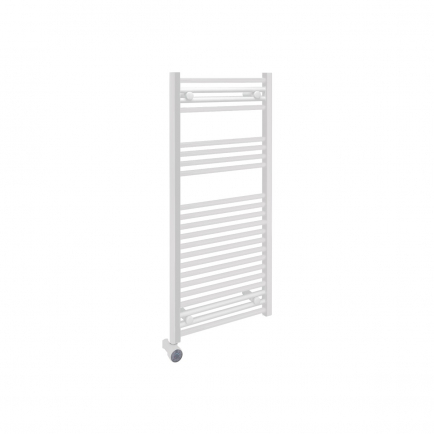 Why should I choose a traditional-style towel rail? Traditional towel rails look timeless and elegant in any bathroom but they are particularly fitting in older properties with period features. Many contemporary towel rails can have quite a minimalist appearance, and while that’s not a bad thing, it can be at odds with the design scheme of the average household. Traditional styles provide all the convenience you’d expect from a towel rail but with an unobtrusive appearance that can blend into the background. What do traditional-style towel rails look like? There are two kinds of towel rail that are often classed as ‘traditional’: ladder-style rails and period-style rails. Ladder-style rails are by far the most widespread and familiar of these two types. Their simple multi-rung design allows them to accommodate a lot of towels compared to other models, which is the reason they remain so enduringly popular in larger households. Period-style rails are designed with a Victoriana aesthetic to suit homes with a vintage design scheme. They usually look like traditional cast-iron radiators with a rail above them to allow towels to hang down and dry in front of the radiator section. 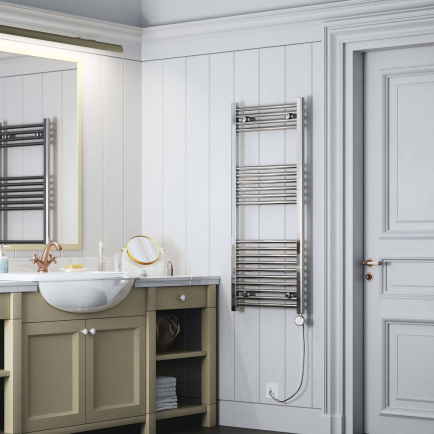 Their ball-jointed pipework and old style radiator bodies give them a nostalgic, elegant feel, although they don’t offer as much space for towels as a ladder-style rail. Do traditional style radiators come with programming facilities? If you’re looking for a traditional towel rail with programming features, you’ll be best served by looking at ladder-style rails. We offer two ladder rails with this function: the Haverland TE700i and the Ecostrad TR700i, both of which come with a number of pre-sets and the option to create your own custom heating schedule. Our other traditional towel rails don’t come with this feature and you will need to look at purchasing a separate programmer if you want to be able to schedule your heating. 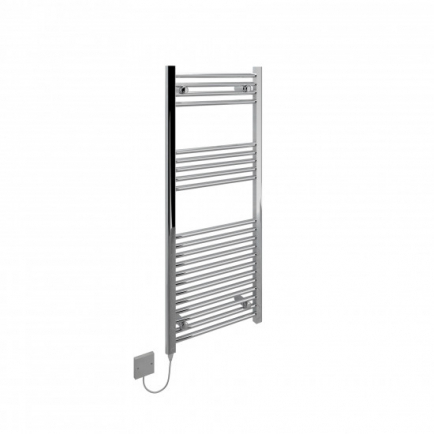 The unobtrusive, dual-purpose heated electric towel rail is fast becoming an essential in the modern bathroom, simultaneously warming the room whilst drying towels and keeping them toasty for later use. A traditional towel rail design is a fail-safe source of heat which doesn’t detract from the overall room design. Choose from a white towel radiator, which will suit traditional bathroom styles, or a sleek chrome towel rail to complement contemporary décor. All the towel rails within our range are easy to install, although this must be carried out by a qualified electrician.